The primary focus of this activity will be to administer a series of seminars in central locations in both Eastern and Western Washington with a focus on a defense contractor audience and export compliance issues they may face. These seminars will feature experts in the fields of International Traffic in Arms Regulation (ITAR), Foreign Military Sales (FMS), Export Administration Regulation (EAR) and other issues facing all levels of defense exporters. These seminars will also be made available online to reach a broader audience of Defense contractors. 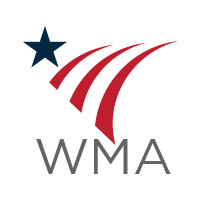 The Washington Military Alliance and the Department of Commerce is currently inviting industry representatives from each of the five identified sectors to participate on an industry advisory council to the WMA. The purpose of this industry council is twofold. First, to provide defense private industry perspectives, needs and recommendations to the Washington Military Alliance so the WMA has an understanding of how to best support the defense private industry in Washington, across all sectors. Secondly, to disseminate the work of the WMA to industry in each of the five represented sectors. Currently inviting participants to this council.